Italy 1899: Fiery-tempered, seductive medium Alessandra Poverelli levitates a table at a Spiritualist séance in Naples. A reporter photographs the miracle, and wealthy, skeptical, Jewish psychiatrist Camillo Lombardi arrives in Naples to investigate. When she materializes the ghost of his dead mother, he risks his reputation and fortune to finance a tour of the Continent, challenging the scientific and academic elite of Europe to test Alessandra’s mysterious powers. She will help him rewrite Science. His fee will help her escape her sadistic husband Pigotti and start a new life in Rome. Newspapers across Europe trumpet her Cinderella story and baffling successes, and the public demands to know – does the “Queen of Spirits” really have supernatural powers? Nigel Huxley is convinced she’s simply another vulgar, Italian trickster. The icy, aristocratic detective for England’s Society for the Investigation of Mediums launches a plot to trap and expose her. Meanwhile, the Vatican is quietly digging up her childhood secrets, desperate to discredit her supernatural powers; her abusive husband Pigotti is coming to kill her; and the tarot cards predict catastrophe. I was impressed with this book much more than I thought I would be. I have read a couple of books about this same subject matter set in the same time period. One of them was really good and the other was horrible! So, I knew this one could go either way. Much like the mediums of that time period, I was afraid the book would be a farce. To my pleasant surprise, it was not. 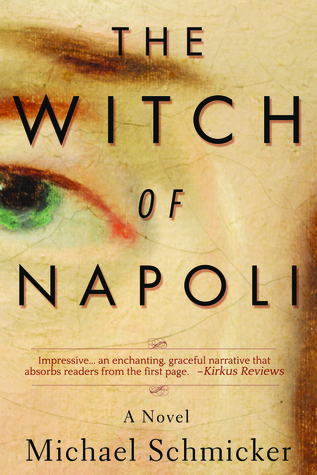 The Witch of Napoli read like a biography even though it was fiction. I’m assuming that’s because it is based on the story of Eusapia Palladino, a famous Italian medium of that time. I’m not sure how much was pulled from her story, but it was highly entertaining. It reflected well the serious battle that was raging between scientists and mystics at the end of the 19th century. The Vatican was mentioned in the synopsis, but there was very little mention of it in the book. I really enjoyed Alessandra Poverelli. She was a true force to be reckoned with. She sucked every bit of the life she could out of every experience. I admired her tenacity and resiliency and found myself rooting for her success. If you like historical studies on science vs. mysticism, you’ll love this book. It was really interesting, and I was sucked in from the beginning. The synopsis made me think this would be a slow read, but it was actually quite the page turner. I hope you’ll give it a shot. I’d like to give a shout out to Netgalley, Palladino Books, and Michael Schmicker for giving me the opportunity to read and review this ARC.